It is Saturday night and my son is out with the gas Club Car. I get a call from him around 10pm and he tells me “the axle slid out of the cart when we were going around a turn.” I ask him to repeat it one more time to make sure I heard him correctly. I put the ramps in the back of the truck and head off. Luckily they are in a parking lot and there are 5 teenage boys. I stand back and watch them get the cart in the back of the truck. They get the cart off the truck and into the garage. 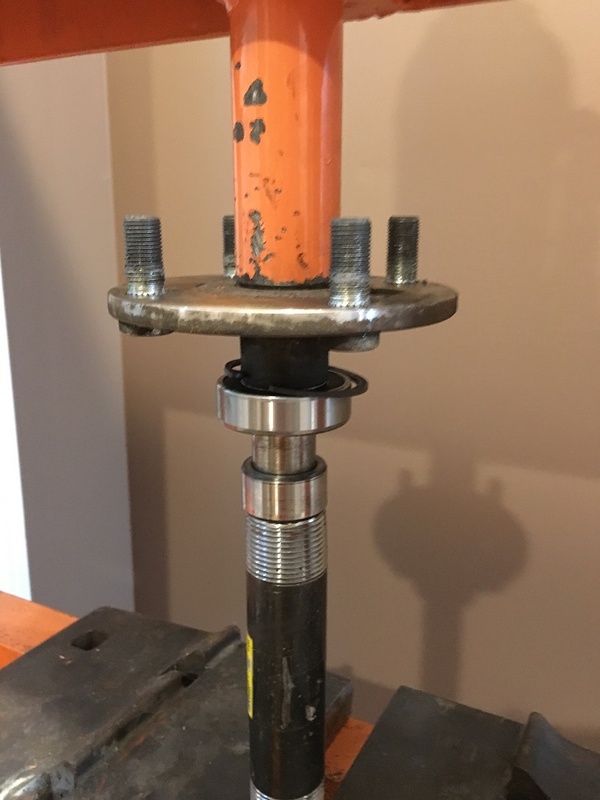 The entire time I’m wondering how that large snap ring sheared off, allowing the axle to come out. The cart has about 600 hard teenage hours on it, so no way it would have lasted that long if I didn’t properly seat it when putting it together last summer. I can’t wait until morning to see what happened, so I grab the flashlight and jack. 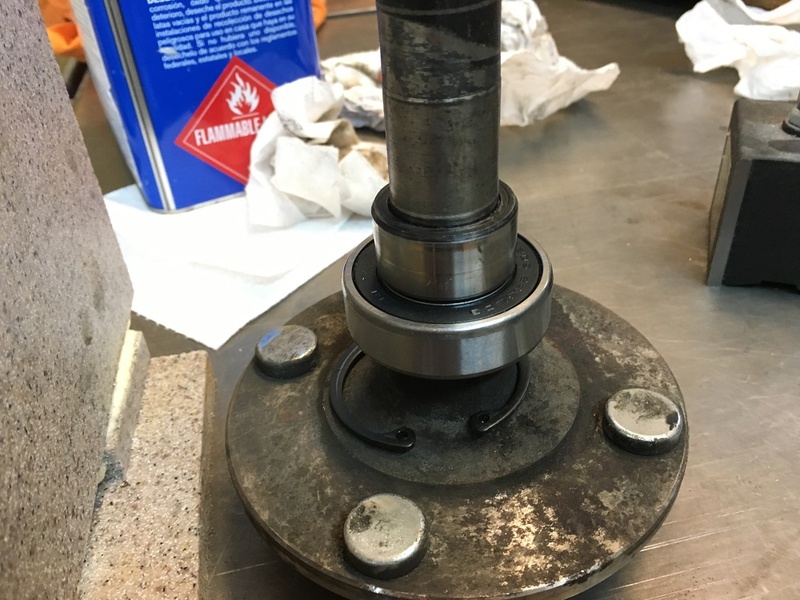 Once I get the cart in the air, I slide the wheel/axle out of the housing and was surprised to see the bearing and collar wasn’t attached to the axle. Sure enough, the bearing is properly secured in the housing with the large snap ring. Now I’m thinking the small snap ring that is against the collar sheared off. I put everything down and go back inside. 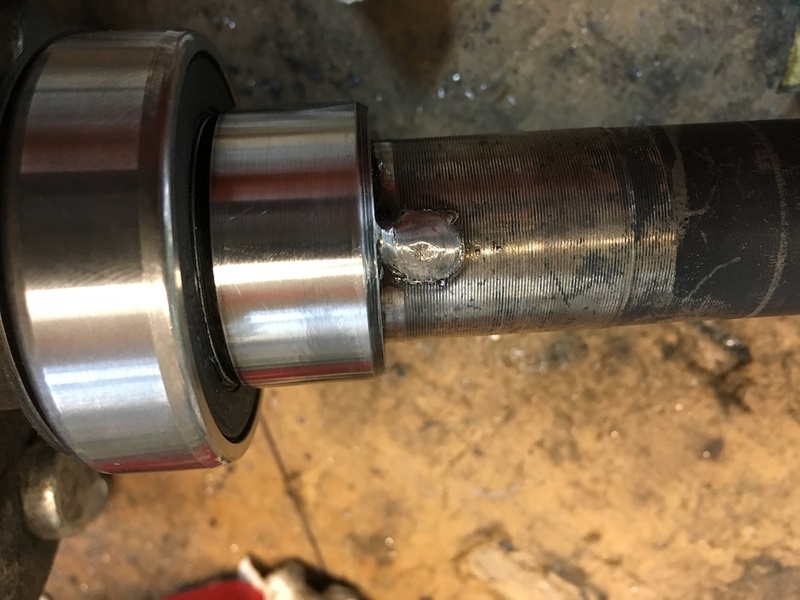 So I’m starting to think the worse case scenario – I’m going to have to split the differential to make sure no little bits of the snap ring made it in there. After walking the dogs on Sunday morning, I take a closer look at things. I can see the collar in the axle tube, but don’t see any signs of the snap ring. Then I take a closer look at the axle and realize there is no groove on the axle for a snap ring! 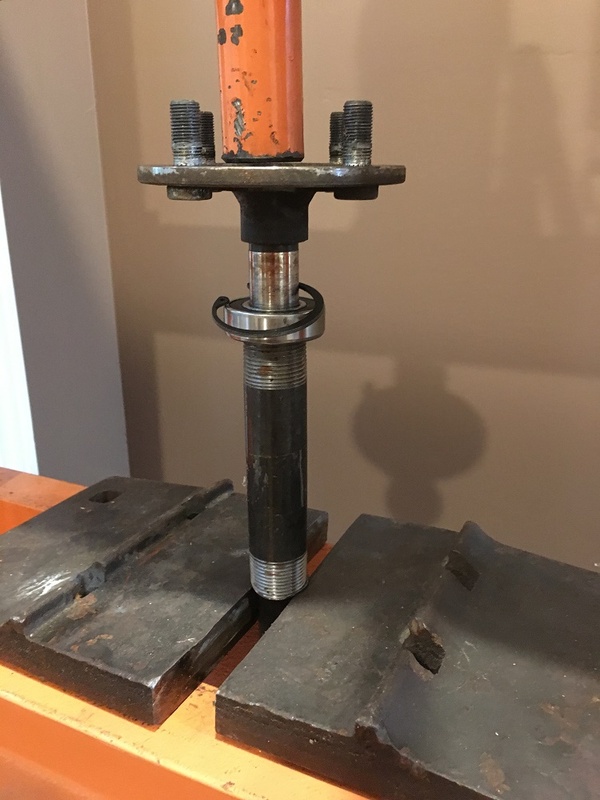 Turns out that in the early years of this axle design, Club Car/Kawasaki didn’t use a snap ring and just relied on the friction/interference fit of the collar and axle. I don’t know how many feet the cart traveled with part of the axle coming out of the housing and with 3 guys on the back, I was concerned that the axle may be bent. I pulled out my self made V-blocks that I used for crank truing and the dial gauge. 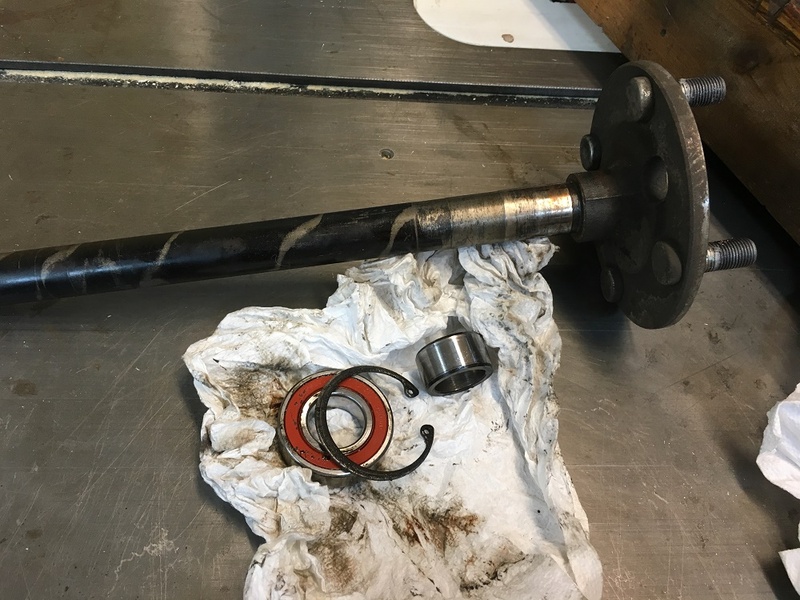 The passenger axle (the side that came out) had .024″ of run-out. I have no idea if that is good or bad. 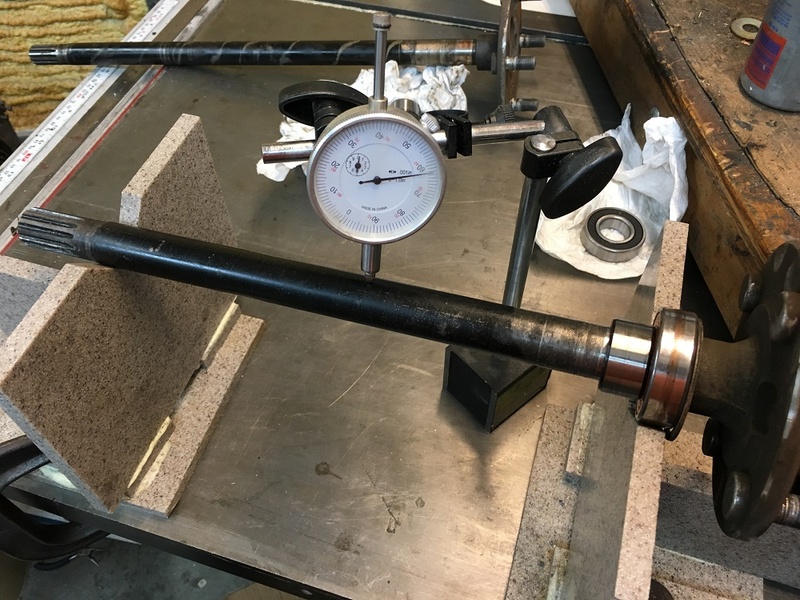 My only experience with run-out is measuring 2 stroke cranks, which need to be below .001″ of run-out. I looked in several different service manuals and couldn’t find any specs for the axles. So I do the next best thing and pull the drivers axle to see what it measures at. With it being shorter, I can’t use it as a direct comparison. I can only hope that it has a decent amount of run-out. I do my best to place the V-blocks as far apart as possible. Fortunately I measure .018″ of run-out. 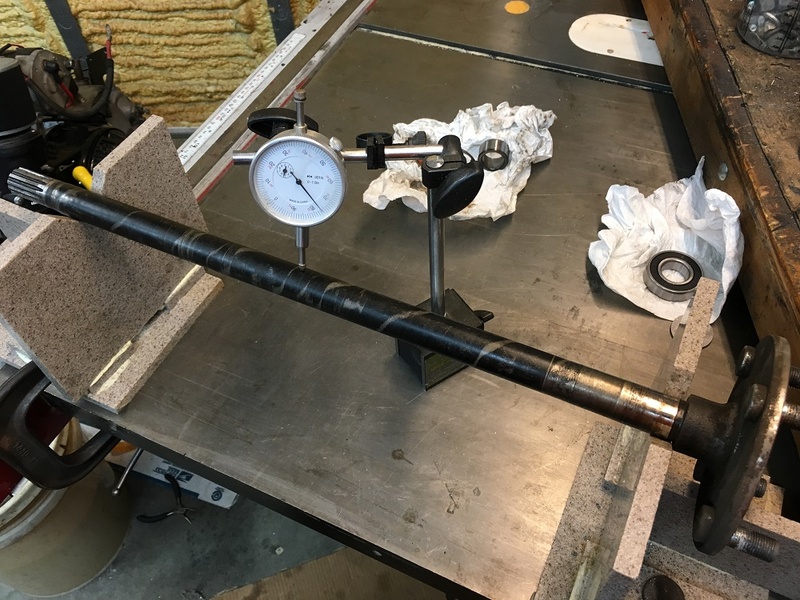 I’m feeling very confident at this point that the extra .006″ of run-out can be attributed to the longer length of the axle and not it being bent. Even if it were slightly bent, it certainly isn’t enough to try to reduce the run-out myself or pay a shop to do it. The last time I priced the collars (for the axle that use the snap ring retainers) they were $25+. I figured if they were the same, I didn’t want to spend the money. And if they were different, I figured I would have a tough time even finding one. So I had an idea how to keep the existing one one this time. I did the other side as well. It won’t take much grinding and filing to remove them if it ever comes up. I can at least sleep better knowing this won’t happen again. This entry was posted on August 8, 2017 by Harold Bawlzangya Racing. It was filed under golf cart .